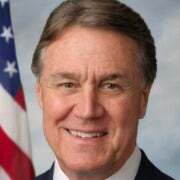 David Perdue is a Republican senator from Georgia and the only Fortune 500 CEO in Congress. 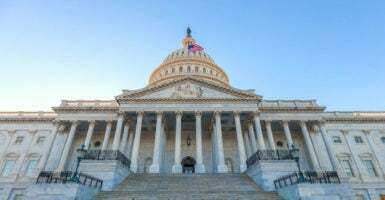 The United States Senate has just 35 working days until the end of the fiscal year on Sept. 30, and that’s assuming Mondays and Fridays are indeed used for deliberation. One thing is totally clear: There isn’t time to deal with the issues that demand immediate attention. The only appropriate response is to cancel, or heavily truncate, the annual August recess that turns the United States Capitol into a ghost town. Last year, voters handed Republicans a Senate majority, a House majority, and the White House. They gave us a probationary period to turn the conservative policies we champion into actual results. The expectations are high and we’ve made some progress. We’ve confirmed Justice Neil Gorsuch to the Supreme Court and we’ve taken on the boldest rollback of federal regulations since President Ronald Reagan was in office. We’ve gotten President Donald Trump’s Cabinet in place and made some headway on health care, but all of this consumed the first half of the year. The American people are expecting us to get much more done. Five imperatives must be accomplished in short order. Fifth, we have to finally act on our once-in-a-generation opportunity to change our archaic tax code, but we will only be able to do so if we don’t get stuck on the first four priorities. All five of these priorities are unique and present their own challenges. For example, the current budget and appropriations process is broken. It has worked the way it was intended just four times in the past 43 years since the Budget Act of 1974. This year, however, the stakes are much higher. The opportunity to change our archaic tax code is hanging in the balance. Markets are already anticipating regulatory relief and additional changes to the tax code that will make us more competitive with the rest of the world. Failure to deliver could cause uncertainty in financial markets and erode the budding confidence among consumers and CEOs. It’s imperative that we act on tax changes this year to realize the full economic impact. Every single delay, both expected and unexpected, will damage our chances of success. If we haven’t made meaningful progress on these priorities by the end of July, then we should pull the plug on the August recess. The norms of Washington—including a monthlong recess—must never stand in the way of our efforts to act on the people’s priorities. Making America great again requires a substantive time commitment. It requires prioritizing national interest over self-interest. It requires a willingness to work through the weekends and make sacrifices when necessary. Change is never easy, but the millions of Americans who placed their confidence in our leadership are expecting our full and best effort. Failure is not an option. The president and his administration have accepted this challenge and are moving at business pace to see it through. It’s time the Senate does the same.